The 82-minute engagement between the Graf Spee and its three smaller British opponents – Achilles, Ajax and Exeter – was inconclusive. All four were damaged, with the British ships suffering 72 fatalities (among them two New Zealanders) to the Graf Spee's 36. But the German warship's subsequent withdrawal to the neutral Uruguayan port of Montevideo, and its dramatic scuttling by its own crew on 17 December, turned the Battle of the River Plate into a major British victory – and a welcome morale boost for the Allied cause. 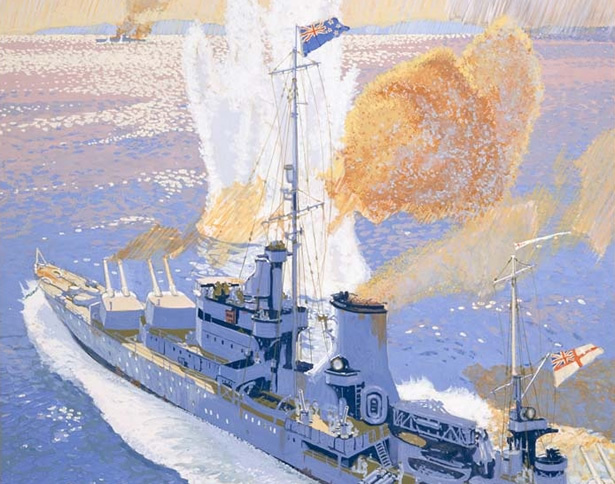 Achilles' role in the battle was a special source of pride for New Zealanders, who welcomed the ship's crew home at huge parades in Auckland and Wellington in early 1940. We have 2 events in history, 11 biographies, 16 articles, related to Battle of the River Plate.